“Why should I invest in student accommodation?” we hear you cry. Well, let’s talk about the ‘B word’; Brexit. With many unanswered questions heading into 2019, it’s understandable investors are worried about the choices they’re making. While for some this is a worrisome time, there are certain investment areas which go largely unaffected by these events, including Purpose Built Student Accommodation (PBSA). For example, during the last global economic downturn, the UK student accommodation market gained and maintained momentum to become the second largest market globally for student accommodation – proving itself as a stable and robust asset class, capable of weathering turbulent times. With promising returns, significant investment potential and a continually growing market, we take a look at why you should consider investing in student accommodation in 2019. The UK is currently home to 11 of the world’s top 100 universities, so it’s no surprise demand for student accommodation is incredibly high. The UK is currently the second most popular destination to study in worldwide, attracting a large number of international students from around the world. With all these students coming to the UK every year, good quality PBSA is essential. As it currently stands, university accommodation and private rental options are not fully prepared to meet the high volume of students coming to the UK to study. University provided accommodation is usually only an option for students in their first year of study, with students having to turn to private rental options for second year, third year and post-graduate study. The majority of private rental options in the area are usually houses of multiple occupation (HMOs) in poor condition, poorly furnished, poorly managed and in short supply. One of the biggest markets for PBSA are international students. While questions about Brexit may be worrisome for EU international students, the majority of international students coming to study in the UK are from non-EU areas such as China, India, the Middle East and the USA. Brexit is not likely to have a direct effect on international students ability to come to the UK to study, meaning international students seeking the best universities will still be in abundance. International students are usually paying a premium to study in the UK, meaning they expect the same premiums when it comes to their living arrangements. PBSA aims to fill this gap in the market and provide students with high quality accommodation for their entire time at University. Our PBSA developments Primus Edge and Northgate Point have all proven to be incredibly popular with students studying at the surrounding universities. The development of The Laceworks in Nottingham will also give students a better alternative to current student accommodation, placing students closer to their place of study compared to current student areas such as Lenton. If you’re not looking to part with too much of your cash, student properties can be a great way of making a solid, stable investment without breaking the bank. PBSA is also fully managed (usually by a specialist student property management company) meaning investors can take a very hands-off approach with looking after the property. Everything is covered by management companies meaning investors don’t need to constantly stay on top of maintaining and supporting the property. 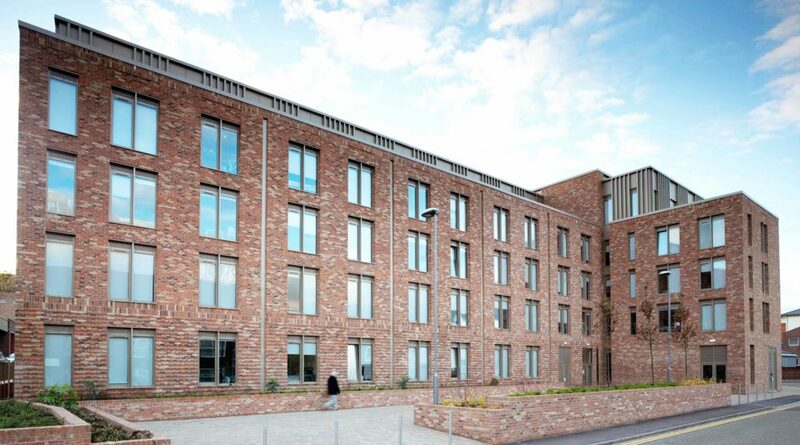 Across The Laceworks, Primus Edge and Northgate Studios sites, investors were able to secure properties from £79,000. While investing in student accommodation may be cheaper upfront, it’s still a very lucrative investment opportunity. High rental returns are often guaranteed with many student leases covering 51 weeks of the year, with most of these agreed at least 6 months prior to the tenancy starting. Due to the low purchase price of PBSAs and the high demand for accommodation, rental yield is often consistently high for investors. Upon completion, The Laceworks offers investors a 7% rental yield. With 5-years rent assurance on our new student developments, an investment in PBSA is a great way to guarantee a consistent return over the course of ownership of the property. Requiring relatively low capital input and the potential for big rental yields, student properties make a great choice for first time investors. With questions about Brexit and what this has in store for the UK property market, investors are looking for opportunities that will thrive and survive during periods of uncertainty. With international students continuing to prefer the UK as a destination for higher education, and the UK being home to some of the best universities worldwide, demand will still remain high for PBSA to cater for these students in university hotspots. To find out more about our student developments (off-plan or otherwise), investing in student accommodation, or to find out more about our plans for 2019, drop us a message and lets have a chat!